Lovely well-maintained 3 bedrooms 2 bath town home in quiet community. Entrance to home has freshly painted walkway leading you to front door and private patio. Coat closet at entry before stepping into living area with corner fireplace. Sliding door in living room leads to private patio. Home has been freshly painted in neutral colors both up and down stairs. Large closets. Kitchen with newer appliances. Washer and dryer stay. New carpet upstairs - bathroom is divided into two areas - bathtub/shower is separate from sink and toilet area. Freshly painted rooms. Balcony off one of the bedrooms has wonderful views. Upstairs has lots of storage. Both patio areas have been pressure washed. 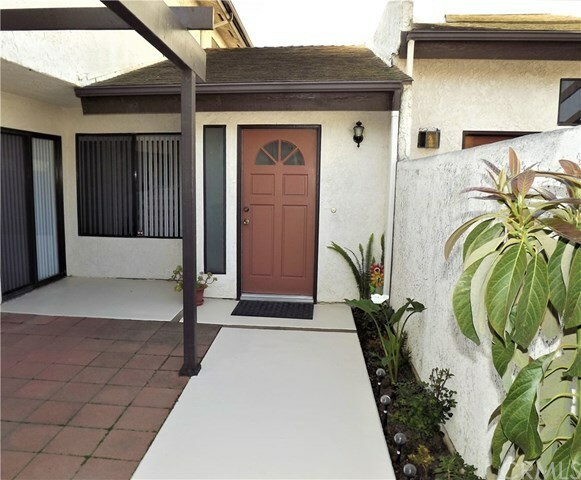 Home is located near park, shopping, schools, hospital & Freeway. Move in ready.